Last summer I wrote a review of Google Fit and concluded that while it was a good start for a health & fitness app, it had a lot of growing up to do in order to compete with other apps and solutions out there. That growing up process has been happening and happening quickly. Over the course of the last couple of months, Google has added a significant amount of features and functionality to the app along with integrating with other apps like MyFitnessPal. The latest update makes tracking your exercise easier by allowing you to do it from your smartwatch and not having to touch your phone. 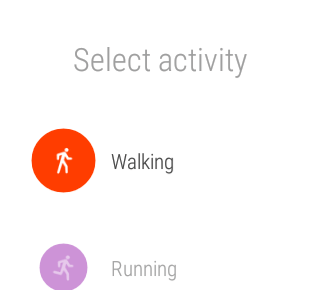 The updated version of Google Fit is build 1.56.14 for those keeping score at home and it is available now in the Google Play Store. When you update to this version, if you have a connected smartwatch, the app on it will be updated as well to allow you to start tracking activities. The app is free of course and if you already have the app installed, the update will come to you via an OTA update. you stop it. As you would expect, the app depends on the GPS information from your phone so the two are very much meant to work in tandem. The ability to track an exercise is nothing new and this new feature to Google Fit is more or less catching the app up to other apps out in the market. As I put in my review however, the app and service from Google is free and if you have made the investment into a smartwatch, the app is now at the point where you don’t necessarily have to also wear another activity tracker to keep track of your exercise and diet. It’s not perfect but it is certainly getting better rapidly.